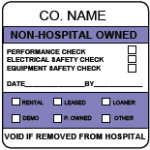 Selecting the Right Equipment Calibration Labels for Biomedical, Clinical and Hospital Environments | ID Label Inc.
It’s an understatement to say we live in an age where technology dominates and enriches our daily lives. Perhaps nowhere is this truer than in the healthcare industry. Whether in a hospital, doctor’s office, university or biomedical/clinical engineering setting, medical devices and specialty equipment are vital to developing successful procedures and treatments. It’s not just important that healthcare equipment records be properly maintained; it’s a legal requirement in certain settings. What Type of Equipment Labels Do You Need? 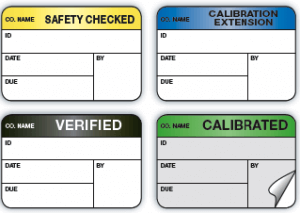 ID Label’s custom calibration and maintenance labels can be manufactured with a protective laminate flap for durability and security. There are a number of important factors healthcare providers should consider when selecting their device inspection, maintenance and calibration labels. McDonough cited ID Label’s popular self-laminating design as an example. As noted earlier, in today’s high-tech healthcare environment, organizations typically follow some set of standard practices for quality assurance or industry accreditation. “Properly documenting your equipment inspections and maintenance via an internationally acceptable label and tag system is critical for adherence to virtually all the relevant worldwide quality standards,” McDonough said. 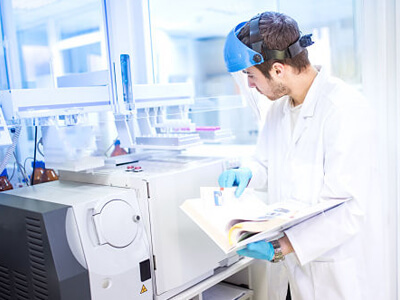 As a premier national label manufacturer, ID Label produces millions of labels annually for major hospitals and healthcare networks, leading biomedical and clinical engineering organizations, world-renown educational institutions and leading pharmaceutical companies. Interested in learning more? Contact us today to request free samples and a product catalog.